No other event celebrates Guam’s love for the grill better than the annual Guam BBQ Block Party. The enticing aroma of this culinary and cultural event will fill the streets of Tumon on Saturday, July 2, 2016 from 5:30pm to 10:00pm. Dozens of vendors will line the street and sell a variety of local and international cuisine, as well as merchandise and handmade crafts. Live art, music and entertainment will add to the festivities. 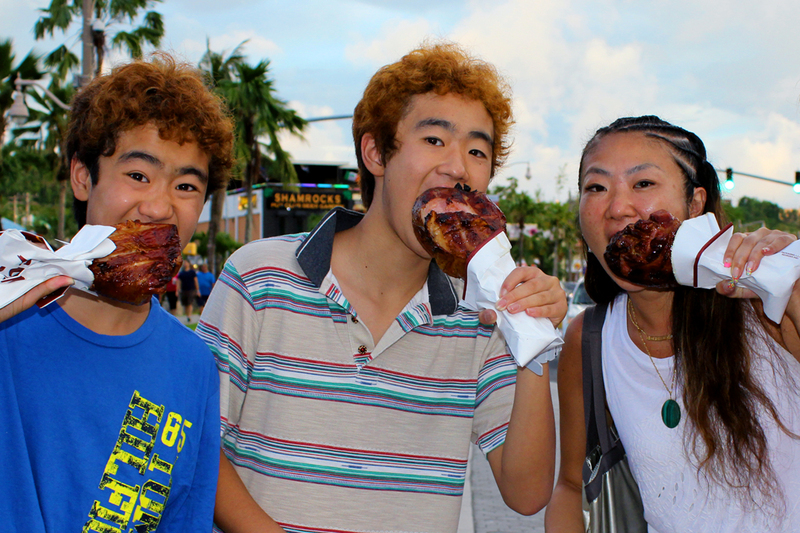 The BBQ Block Party is family friendly, free entrance and open to the public. The street will be closed to traffic to ensure everyone’s safety and enjoyment. The block party will showcase Guam’s unique BBQ culture and the expertise of Guam’s top chefs and grill masters, some of whom are returning to defend their titles in the chicken, beef and pork categories. With more than $4,000 in prize money up for grabs, the competition will be intense. This year’s competitor line-up includes 2015 Guam BBQ Block Party Champion Grill Master, Asu Smokehouse, who will be pitted against other chefs for bragging rights and the title of 2016 Guam BBQ Block Party Champion Grill Master. Tasty BBQ from the competitors will be available to sample and for purchase at the block party. Don’t miss the hottest party of the summer – the 4th Annual Guam BBQ Block Party! Follow your nose and join us at Pleasure Island in the heart of Tumon on Saturday, July 2.